AMAZING LOCATION! 1BLK to MRU-7 minutes to downtown. This SPECTACULAR 4 bdrm townhome backs onto a QUIET & BEAUTIFULLY TREED PARK inside a quaint culdesac in the heart of Lincoln Park. Enjoy over 1700 sqft of living space w/ STUNNING RENOVATIONS thru-out. SPACIOUS open flr plan w/ SOARING 12ft VAULTED ceilings showcase INCREDIBLE & PRIVATE VIEWS of the park-like setting. Back deck adjacent living area invites you into the serene outdoor living space. BRIGHT/OPEN kitchen & dining rms also overlook the park. ENORMOUS MASTER w/new SPA-LIKE ENSUITE & WALK-IN closet creates the perfect retreat. 2 LARGE bdrms & new 4pc bath complete upper level. Lower level features a versatile area w/MURPHY BED ideal for guests & exercise area w/generous laundry & storage areas. NEW QUARTZ counters, Sparkling tiled backsplash, CHIC lighting, Paint, Carpets, Stainless steel Appliances & Baths are sure to impress! 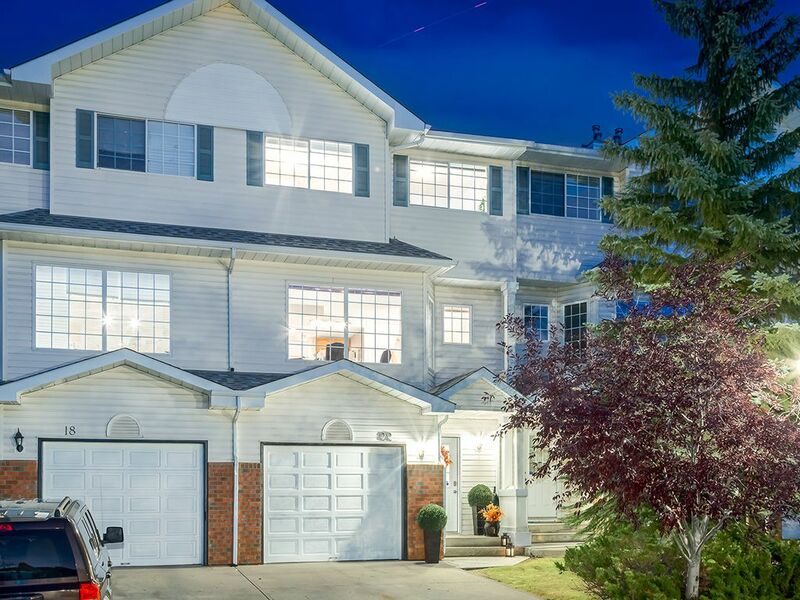 Only minutes to GLENMORE RESERVOIR, Rapid Bus & shopping. INNER CITY at its BEST!! GREAT INVESTMENT/LOVELY HOME!